Q: Eight years ago, I bought a house using money my grandmother left me. I wasn’t able to get a loan in my name only, so my dad went on the loan with me. He is also listed on the title of the house along with me, although he has not put any of his money into my house. I make all the payments, pay the taxes, and pay for the repairs. My boyfriend would like to pay off the loan for me and get the title in my name only. My dad refuses to let us do this. My dad has insisted I write the check out each month to him not to my lender. He insists I send him the money for the property taxes and he pays it out of the money I send him. He refuses to even talk about me paying off my house and quit claiming the deed over to me. He says it’s not a good idea, but won’t tell me why. He only says that he is protecting me. Do I have any legal rights? If I have to hire a lawyer, do I have a case? All the money in my house is mine. He would have to lie in court to say otherwise. What can I do? A: It’s unfortunate that your father does not recognize that you have achieved your age of majority and your independence. While one could make certain assumptions regarding your father’s intentions, let’s think about why he could be acting this way. Perhaps his intention is to help safeguard the cash you received as an inheritance, and kept in the family for you to use in your future, not commingled with money from your future spouse or other people. But what seems odd about your situation is that he doesn’t even trust you to make the mortgage payments or the tax payments. While he may be protecting his own credit by making sure the payments are made and that they are paid on time, he appears to be treating you like a child, particularly if you have sent him the payments on time over the past eight years. By now he should have been able to determine that you’ve reached a point of financial maturity that would enable you to take care of your finances. He may not like it, but it may be time for him to let you make your own financial decisions. He may be uncomfortable about having your boyfriend pay off the loan and, perhaps, convince you to put his name on the title to the home. Now, let’s look at the other side of the coin. It’s possible that your father isn’t being selfless in his desire to keep total control over your finances and this asset. It’s possible that he’s realized that the house is worth a lot of money and wants some of it for himself. With any luck, this isn’t the case, but you should prepare yourself for the possibility. Hopefully you’ve kept a written record of all the payments you’ve made to your father. And, hopefully, you’ve made sure that all of those payments made their way to the mortgage company and tax assessor. It’s important that you have that documentation. You’ll need to have proof that you have made all of these payments and that the cash has not come from your dad to pay the mortgage and taxes. Even if you can prove that you’ve made all the payments, your father may still have some rights to the home — rights he may not want to give up. How was the home titled when you bought it? 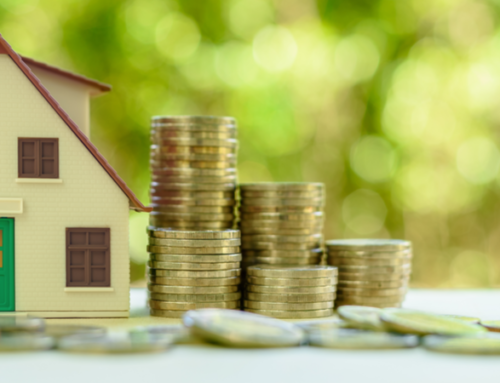 Do you know if you own equal shares of the home or if you own it jointly without a designation of what you and your dad own? If the home was purchased with your dad as a 50 percent of the property, you will have an uphill battle to prove that he doesn’t own any part of the home. If you were both designated owners of the home in joint tenancy, you have an easier time proving that his name was placed on title only for convenience sake to obtain the mortgage. Nonetheless, he did help you get the mortgage and your father can claim some value in that. If you can’t sit down with your father and convince him to let you go your own way with your finances and with your home, your only alternative would be to sue your dad in a partition suit to claim your share of the home or your entire share in the home. You’ll need to talk to an attorney in your state who can look up the case law on this issue, to determine whether your father has any right to the home. While you may have one view, your father may have another. After eight years, the memory of why each of you entered into the purchase may have changed. Each of these views will become important in determining what each of you might get if the property was spit up by a judge. If you and your dad don’t have anything in writing that states your father was facilitating your purchase of the home and did not expect to gain financially from having his name on title, you will to prove these facts. You will have to make sure that the laws in your state provide that under these circumstances your father would not be entitled to anything from the sale of the home or in the partition suit. Partition law suits can be time consuming and expensive. Hopefully, it won’t come to that.